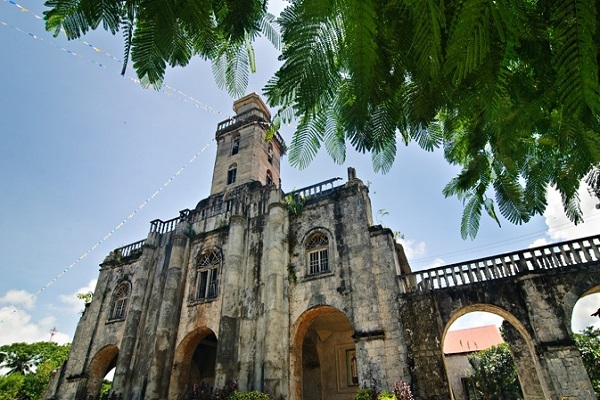 Alburquerque is located in the southwestern part of Bohol, about 12 kilometers from Tagbilaran. It was formerly a barangay named Looc, under the municipality of Baclayon. During the Spanish Regime, Looc was a progressive settlement since it was situated near the coast and it had a sheltered cove suitable for berthing sea crafts. At that time, travel around Bohol was done by the sea and not inland. The place was also “in demand” for it was the breeding place of anchovies or what the locals call “bolinaw”. Being far from the Poblacion of Baclayon, the people found it difficult to attend Holy Masses during Sundays as well as other religious activities. In the long run, the people thought of constructing their own chapel and have a priest from Baclayon to come over to serve the people. A parishioner of Looc, Lady Mariona Irag, a prominent lady in the community assumed the mantle of leadership for the construction of the chapel. In 1842, she requested the Parish Priest of Baclayon, Fr. Pedro de la Encarnacion, to supervise the construction of the said chapel which is to be built by the people. 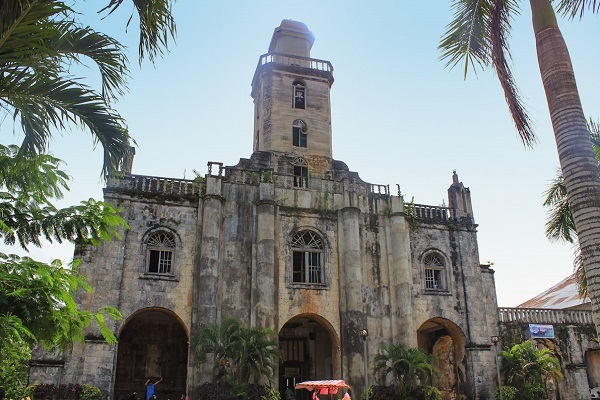 The place of Looc was also known as “Segunto” and its first barangay captain was Pedro Jala who lived in the Sitio of Carnago. Eventually Carnago was separated from the town and established into a town called Sikatuna, in honor of the brave chieftain, Datu Sikatuna, who made a blood compact with the Spanish Conquistador, Miguel Lopez de Legaspi. Barangay Segunto grew until the time when the government officials deemed it proper to separate it from the town of Baclayon. Finally on June 9, 1868, Gov. General Jose de la Gandara, issued the decree establishing the new town of Alburquerque in its civil jurisdiction. The town’s name was changed by the Spanish authorities to Alburquerque in honor of Alfonso Alburquerque, the famous Portuguese seafarer and conqueror of Malaca, Sumatra. Alburquerque is also a name of a town in the province of Badajoz, region of Extremadura, Spain. Likewise, a place in the ancient town of Mexico, once a colony of Spain, was named Alburquerque for many years. The name Alburquerque (from either albus querqus, meaning "white evergreen" in Latin; or Abu-al-Qurq, meaning "country of cork oaks" in Arabic) is very widespread in all of the Americas and the Philippines. Now changed to Alburquerque, the inhabitants are called Alburanons or Alburquerqueños in Spanish. As to its religious jurisdiction, the Fr. Provincial of the Recollects approved the creation of the town on November 14, 1868. 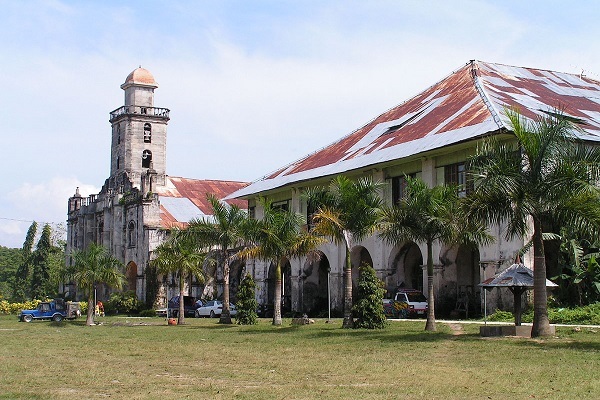 Seven months later, on June 18, 1869, the Bishop of Cebu made Alburquerque a separate Diocesan parish advocated to Sta. Monica. A week after, exactly on June 26, 1869, the first curate priest of Alburquerque, Fr. Tomas Hernandez assumed his post. The history of the Sta. Monica Church is part and parcel of the historical heritage of the Alburanons. Its inception and growth likewise portrays the life of the people of Albur. Converted to the Catholic faith by the Spaniards, the people grew in their faith and religious outpourings such as attending of Holy Masses and other religious activities became a must for them. With Lady Mariona Irag leading the people, a chapel was established in their barangay and a priest from Baclayon came over to serve them. With the accessibility of the chapel, the faithful grew. More people, even those from other neighboring barangays, came over to attend the services. Eventually, people from other barangays settled in Segunto to be near to the chapel and the population grew. Finally meeting the requirements of township, the town of Alburquerque was established on June 9, 1868 followed by its formal declaration into a town as to its religious jurisdiction on November, 14, 1868. 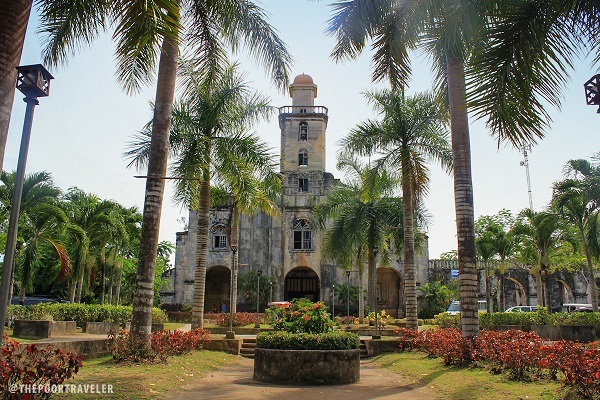 Finding the faithful to have grown for it to be constituted a parish, the Bishop of Cebu canonically established Alburquerque into a separate parish from Baclayon. To accommodate the people, the chapel was extended. Up to the 1880’s, the church was more or less like a huge shed with three aisles. The walls were only made of tabique. Shortly after being established into a parish, the construction of a much bigger church made of coral stone commenced. The convent was also constructed. Between the church and the convent, a grotto was made. Through the years, efforts were made to improve the church. Other improvements were unfinished as can be seen by some ruins near the church. However, the tower over the façade and other upper portions of the church was completed only during the first half of the 20th century. Three bells inscribed with the names Sta. Monica, San Augustine, and “Calipay” or Joy, respectively, hangs in the quadrangle tower. The bells are dated 1866 and so are witnesses to the growth of the parish of Alburquerque to what it is now.